Were you recently arrested and charged with a crime in Riverside Township? If so, contacting a Burlington County Criminal Defense Lawyer may be in your best interest. In the past 24 months alone, Riverside Police and State Troopers have issued nearly 2,000 criminal charges. This is in addition to another 2,200 traffic and Driving While Intoxicated (DWI) tickets issued. Some of the most common offenses include: simple assault, aggravated assault, shoplifting, theft, DUI, disorderly conduct, underage drinking, resisting arrest, marijuana possession, drug distribution, CDS in a Motor Vehicle and Leaving the Scene of an Accident. If you or someone in your family are facing one of the above charges, contact the criminal trial attorneys at Proetta & Oliver. Our firm relies upon of staff’s zealous advocacy skills and trial techniques. Firm Partner and Former New Jersey Deputy Attorney General, William C. Fay, IV, spent his career honing his trial skills and prosecutorial technique with the office of New Jersey’s top attorney. Mr. Fay now puts his experience to work for those accused of criminal offenses throughout Burlington County and New Jersey. To speak with an attorney about your criminal charges, contact our Mount Laurel office directly at (609) 850-8284. We can be reached 24/7 for your convenience. What Happens at Municipal Court in Riverside NJ? 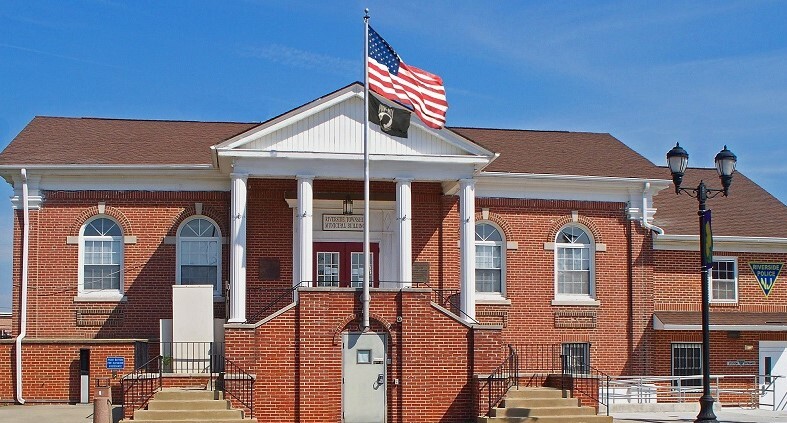 If you received a summons complaint or summons warrant for a criminal offense in Riverside Township, then you will have to appear at the Riverside Municipal Court. The municipal court has limited jurisdiction to matters involving criminal misdemeanor offenses (known as disorderly persons offense and petty disorderly persons offenses), municipal ordinance violations, traffic violations, DWI, and juvenile truancy matters. If your case is a felony indictable offense, then you can expect to have your case transmitted to the Burlington County Superior Court and the Burlington County Prosecutor’s Office. If you would like to speak to a Burlington County Criminal Lawyer about your upcoming court date, please contact our office today. The initial consultation is complimentary and we can be reached at (609) 850-8284. Judge: Honorable Dennis P. McInerney J.M.C. Prosecutor: R. Louis Gallagher, Esq. Court Administrator: Marianne Ptaszenski, C.M.C.A. What are Some Facts about Riverside Twp NJ? Riverside is one of the smallest townships in Burlington County, in terms of size. While only 1.6 square miles, Riverside has over 8,000 residents, according to the most recent census. Surrounded by the Rancocas Creek and the Delaware River, Riverside was incorporated in 1895 from portions of Delran Township. Bordering Delanco and Delran, Riverside’s main access point for transportation is Route 130. For more information the township of Riverside please click the link. The lawyers at Proetta & Oliver have spent their careers focusing on Criminal Law and defending the rights of the accused. Our experience includes charges involving aggravated assault, heroin possession, possession of drug paraphernalia, drunk driving, assault by auto, trespassing and burglary, just to name a few. If you were arrested, detained and issued criminal charges, call the offices of Proetta & Oliver. Our reputation and clientele reviews speak for themselves. Call 609.850.8284 today and receive your free consultation with a Riverside Criminal Attorney. Representatives can be reached 24/7 for your convenience.